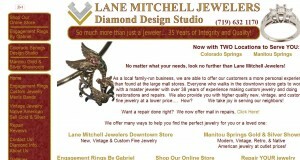 Lane Mitchell Jewelers address, phone, website, hours of operation, and more. 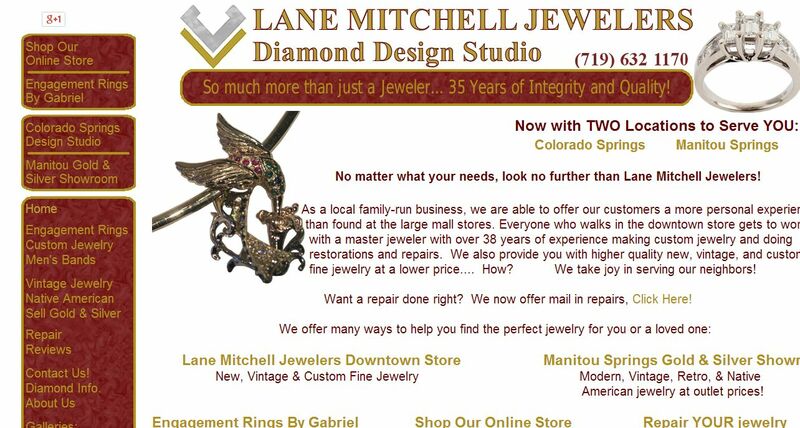 Lane Mitchell Jewelers is a locally owned Diamond Design Studio and full service jeweler, known for one-of-a-kind jewelry and exceptional customer service. Lane is a master goldsmith, and has been making jewelry for over 35 years (he started when he was 16). He has been in Colorado Springs for over 25 years and at the current location for more than a decade. Prior to opening his own shop, Lane worked for Southgate Jewelers and was the manager at the original Manitou Jacks. His creativity and attention to detail are unmatched. He serves customers from all over the United States, from Oregon to Florida. Customers drive from Boulder and Canon City just to be able to have the opportunity to work with Lane.